Last updated 22 January 2019 . By Ed Christmas. 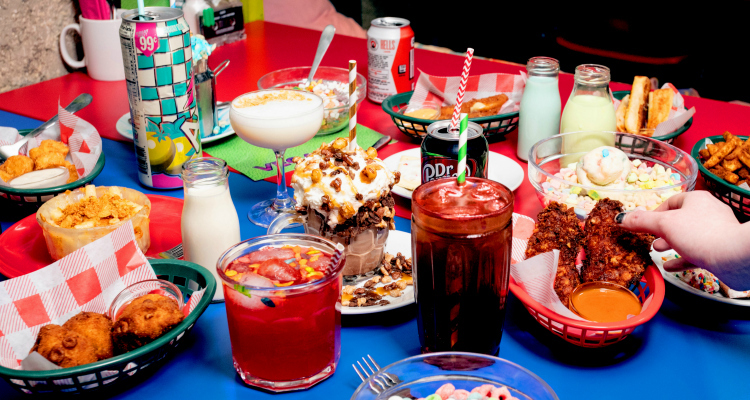 With an exterior notable even amongst the vibrant and creative Brick Lane shops, Cereal Killer Café is hard to miss. Its interior are well-matched, decorated with a hallway of mirrors, aimed at the Instagram-lovers among you, and beds with duvet covers of your favourite childhood characters, such as the Tellytubbies and Power Rangers. They even have art on the walls of serial killers, such as Hannibal Lecter, made of cereal - and, yes, it took me the whole evening to understand the irony there. More than just a menu of breakfast cereals, CKC now offers hot food and savoury bites. As for drinks, I took no shame in opting for the cocktail that the waitress described as their ‘most Instagrammable drink on the menu’. A concoction of gin, prosecco, Hawaiian punch and orange juice, served with candy, the Bam Bam (£9.00) is not for those who lack a sweet tooth. What made it a feature on my Instagram story was the candy floss garnish. Simply add the candy floss to your concoction and watch it sink into the drink, perfect for a 20-something's basic boomerang. We accompanied this with a questionably-coloured cocktail, the Drunk Leprechaun (£9.00). A dark green vodka mixed with cream soda and served in a large wine glass with marshmallows and Lucky Charms to give it a cool, light and sugary flavour. 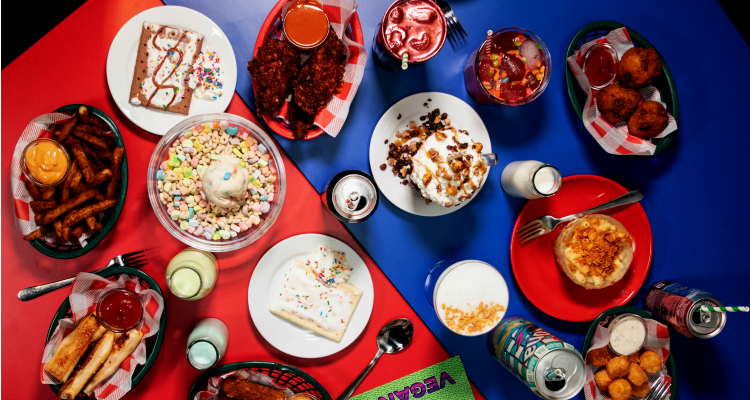 Every dish and drink comes with a cereal-based twist. Contrary to what you may assume, Cereal Killer have a substantial savoury food menu, all based around your favourite cereals. From Cornflake Chicken (£6.00) to Bran Fries (£4.50) and Mac ‘n’ Cheese sprinkled with chilli cornflakes (£5.50), there was a variety of dishes to choose from. Highly recommended by the waitress, the chicken with a cornflake coating was served with a spicy sauce. Albeit not the biggest portion I’ve ever set my greedy eyes on, it still made its way down pretty effortlessly. The fries dressed in bran flakes were a personal favourite, much better than the average fry. 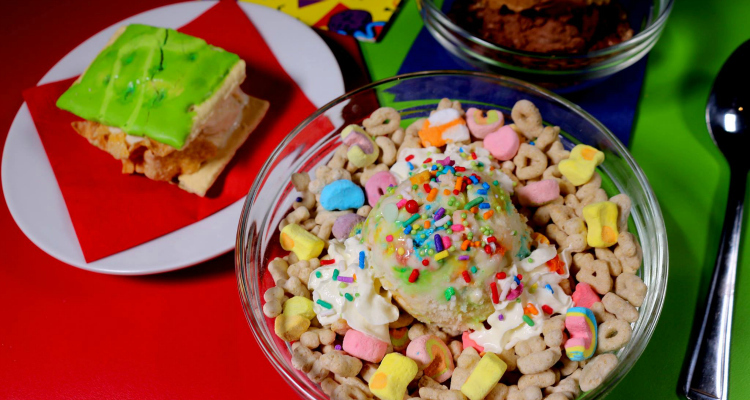 We couldn’t leave without trying their famous Luckiest Charm superbowls (£7.90); Lucky Charm cereal with marshmallows and Lucky Charm ice-cream, which they claim, if you haven’t tried it before, then “we need to have a chat”. After being told they had run out of ingredients for one of my favourite cocktails and - and acting more extra than a drone-sighting at Gatwick Airport - I went for an Aye Aye Cap’n Crunch (£9.00). The rum-based drink with spicy cherry soda and a cornflake cereal twist was a great way to wash down the magnitude of flavours from the food. But their most impressive dishes are still their sugary breakfast bowls. Not without its fair share of press in recent years, Cereal Killer Café has continued to flourish on Brick Lane. Without question, the décor of the café catches the eye of any child (or twenty-something former child) and lights up the faces of any tourist popping in. No nostalgic stone has been left unturned in ensuring customers discover new and subtle references to some of the world’s most notable cartoons, alongside a unique mixture of food and cocktails. Believe me when I say, I’ll be a serial customer.